Grab a bite to eat at Rockpool Restaurant, a restaurant which features a bar, or stay in and take advantage of the 24-hour room service. Full breakfasts are available daily from 7:30 AM to 10:30 AM for a fee. Make yourself at home in one of the 10 guestrooms. Complimentary wireless Internet access is available to keep you connected. Private bathrooms with showers feature complimentary toiletries and hair dryers. 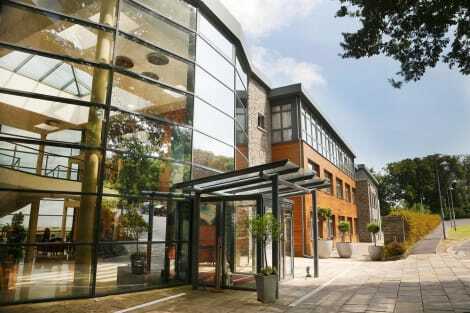 A stay at Long Quay House places you in the heart of Kinsale, within a 5-minute walk of Kinsale Regional Museum and Courthouse and Desmond Castle. This 4-star guesthouse is 15.5 mi (25 km) from Cork University Hospital and 0.2 mi (0.4 km) from Saint Multose Church. Grab a bite at Wharf Tavern, one of the hotel's 2 restaurants, or stay in and take advantage of the 24-hour room service. Wrap up your day with a drink at the bar/lounge. A complimentary full breakfast is served daily from 7:30 AM to 10:00 AM. With a stay at Joys in Kinsale, you'll be within a 5-minute walk of Desmond Castle and Kinsale Regional Museum and Courthouse. 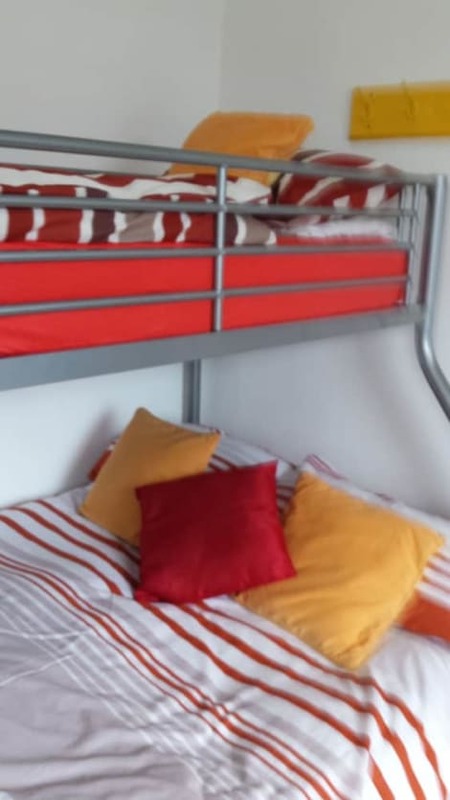 This guesthouse is 15.3 mi (24.5 km) from Cork University Hospital and 0.2 mi (0.3 km) from Saint Multose Church. Unwind in 5-star luxury at the award-winning Rivermount House, County Cork. With scenic views of the River Bandon, guests can enjoy spacious bathrooms, steaming power showers and comfy 5ft beds. Host Claire O’Sullivan treats guests to an extensive breakfast menu and offers a wealth of local knowledge. Just 4km from the picturesque port town of Kinsale, visitors can go yachting, angling, golfing, take historical tours, explore Desmond Castle and the International Museum of Wine. Rent a boat, go whale watching, horse riding or kayaking and finish the day with a relaxing pint in one of the town’s lively pubs. Indulge in the best of Irish hospitality courtesy of Nora and Francis Kelly at Valley View, County Cork. Guests have been welcomed to the picturesque house for the past 20 years and enjoy delicious breakfasts, private parking and beautiful gardens. Only a five-minute drive from Kinsale, guests can enjoy everything the lively port town has to offer. Cruise the idyllic harbour by boat, take a historic tour of the medieval town, pony trek, golf, fish and scuba dive, before enjoying a pint in the many busy pubs. Cork Airport and car ferry are a 20-minute drive away. In the heart of the medieval fishing port of Kinsale, Sea Gull House sits in a historic spot next door to the 16th century Desmond Castle. Close to the beach and water sports like yachting, swimming, kayaking and deep-sea angling, guests can also enjoy great golf and horse riding. One of the most popular towns in County Cork, Kinsale boasts gourmet restaurants, lively pubs and stunning seaside walks. A family-run home, host Mary O’Neill provides a warm Irish welcome. A historic port and lively fishing town in Ireland's verdant County Cork, Kinsale sits at the mouth of the River Bandon and close to the Old Head of Kinsale, making it a perfect location when you want a taste of the far South West. The coast of county Cork is very special and studded with exceptional beaches. There are plenty near Kinsale. Sandycove is a magnet for experienced ocean swimmers, who love to swim out to and around Sandycove Island at high tide. This is strictly for strong swimmers in groups, but it's a fine beach to visit even if you're just admiring the power of the sea. By contrast, The Dock Beach is small, safe and rightly popular with locals. The maritime spirit of Kinsale is impossible to ignore, and the area attracts sailors and water sports enthusiasts of every kind. There are three marinas, a yacht club, boat hire, harbour cruises, kayaking, fishing and scuba diving available…for a start. Perhaps the most relaxing way to enjoy this magical coastline is from the 5-star luxury Ocean Ranger, in the expert hands of your skipper and first mate. The long and complex history of Kinsale is reflected in the concentration of historic buildings, such as the ancient St Multose's Church dating from 1190, the fine Market House from around 1600 and the magnificent, partly restored 17th-century Charles Fort in nearby Summercove. At this dramatic and imposing ‘star fort' you can explore the barracks and facilities while enjoying its wonderful position overlooking the mouth of the River Bandon. Regular guided tours help to unlock its secrets. From Kinsale hotels you can spoil yourself in the town's superb restaurants, cafés and bars. Known as the ‘Gourmet Capital of Ireland', local chefs make full use of the natural bounty that surrounds them on land and off shore. The list of fine eating places is long, but you could start with the Fishy Fishy Seafood Restaurant on Crowley's Quay, the award-winning establishment making the most of the freshest catches straight from the Atlantic Ocean. At the Lemon Leaf Café on Main Street, you enter a calm and relaxing haven, where menus change with the seasons and local, artisan products are the priority. Do make a date with Kinsale's oldest and most famous restaurant on your visit. Man Friday Restaurant delivers consistently wonderful cuisine and friendly service and has been doing so since 1978 under the same talented chef-owner manager.